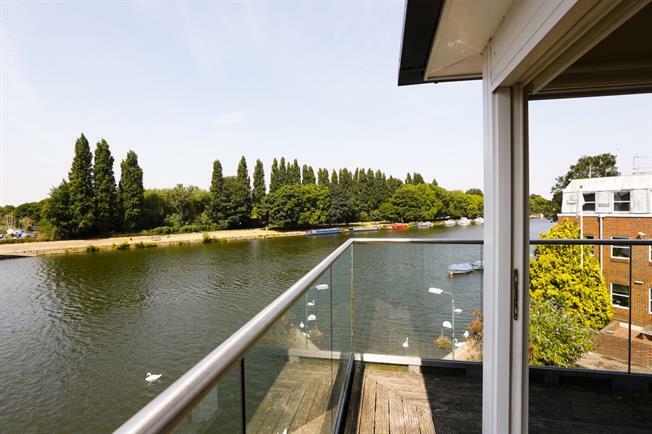 3 Bedroom Apartment To Rent in Kingston upon Thames for £2,150 per Calendar Month. Stunning riverside apartment boasting stylish decor throughout including a fabulous reception room with wood floors and views of the River Thames, modern open plan kitchen with granite work surface and integrated appliances, three double bedrooms (two of which have en-suite bathrooms), one further shower room and a balcony. The property is situated in an enviable location close to Kingston town centre and mainline station and also benefits from a garage.